Maldives has plenty of incredible dives but Warren Thila, in the right day, it just leaves you breathless. 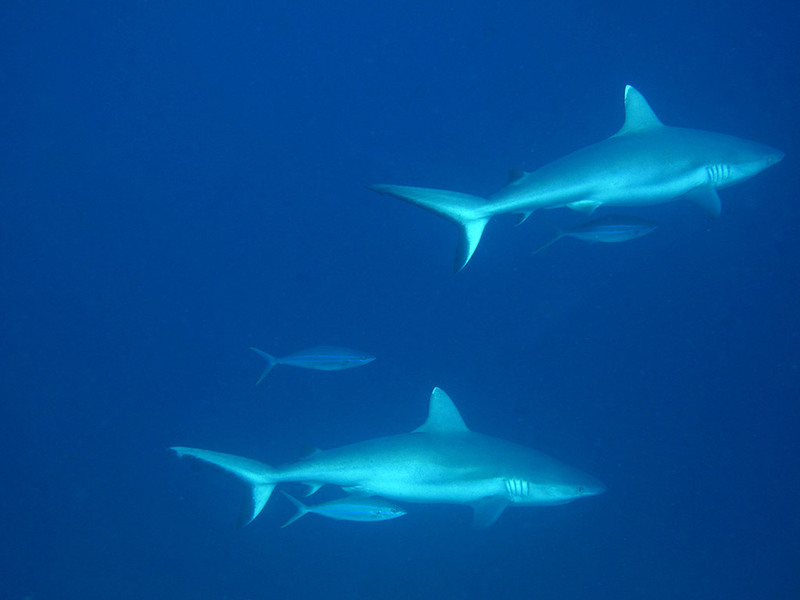 Whitetip reef sharks: are the most common, you can see them in almost every dive. They may sleep on the bottom, under a rock or swimming around the reef. Grey reef sharks: are the tough ones and you can find them in the middle of a “kandu” or a ”pass”, usually they are a bit shy and don’t come closer. Leopard sharks: are the lazy ones, not so common in Ari Atoll, they usually rest on the bottom hidden behind a rock or a pinnacle. Nurse sharks: they like to show up at night and stay in caves and holes during the day. They can reach up quite big sizes, even to three or four meters long. Whale sharks: The biggest shark and fish of the Ocean. In south Ari Atoll there are a couple of places where you can observe them almost every day. Warren Thila is, as the name may suggest, a thila, located in Ari Atoll, Maldives. Usually there are strong incoming and outgoing currents, depending on the tide. You will have the perfect condition when you dive it with a medium incoming current. Jump into the blue, descend 30 meters and, once you hit the bottom, hold on to the rocks. While descending you’ll start to spot a couple of stingrays resting on the sandy bottom, then one or two whitetip sharks will swim in your direction to check you out. 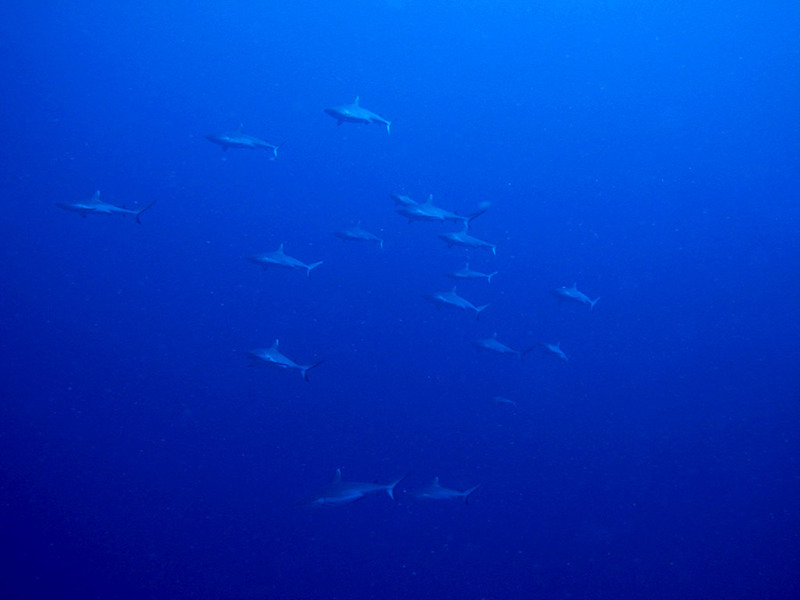 Once you hit the rocky bottom, you’ll hold on it with your hands or a reef hook, forty to sixty grey reef sharks start to appear from the blue coming closer and closer. One or two mantas may gently swim in your direction while a vortex of barracudas form above your head. The computer alerts you that the no deco time is getting short and the moment to take off the hook from the bottom and dive up the thila has come. A wall of sea fans with endless red anthias is what welcomes you. Then a couple of big tunas followed by five or six devil rays pass just over the group. While diving the thila you’ll find huge groupers, turtles and small napoleons. All of a sudden a swarm of trevally comes up from the bottom of the thila and you can’t almost see your buddy anymore. At the end of the dive you often find a few eagle rays “flying” above the thila. …then the surface marker buoy gets filled in and the thila disappears into the blue. That is the right day at Warren Thila. Have you ever been there? What is your experience about diving in Maldives with sharks? Write in the comments below your thoughts and questions.